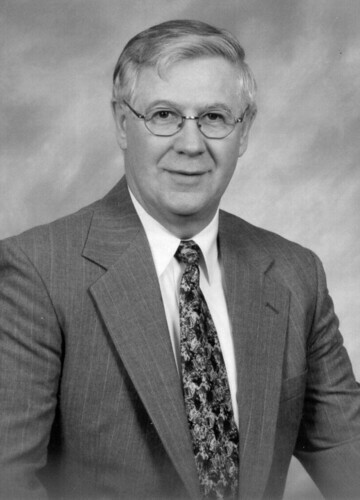 Dr. David Biberstein served in the Pastoral Ministries Department at Fort Wayne for more than 25 years. 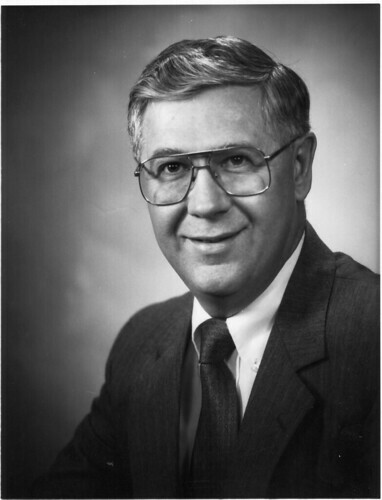 A 1966 graduate of FWBC, he returned to his alma mater in 1982 after a long and varied ministry career. 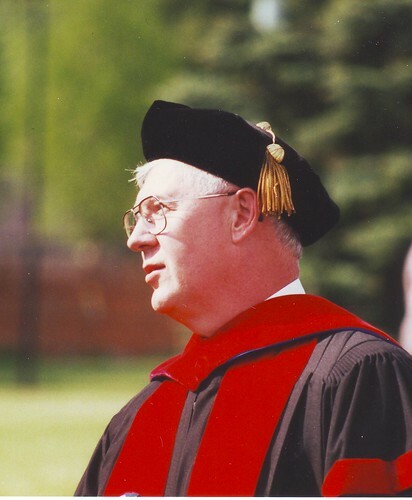 Preaching and teaching were always his chief passions, and he pursued his calling to discipleship in both church and university environments. Dave enrolled at FWBC as a Christian Ed and Music major and remained active in several music groups on campus throughout his student years. However, after receiving his “call” to ministry during his sophomore year he changed his major to Bible and Theology, graduating in 1966. 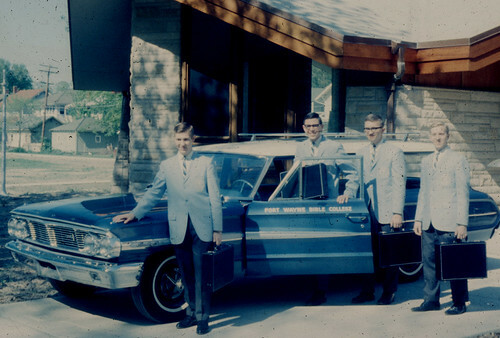 In 1967 Dave traveled to Jerusalem and Africa and married Joleen (Herman) g67, whom he met at FWBC. 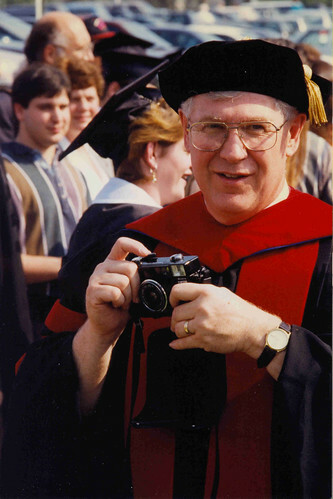 He pursued a Masters of Divinity (1970) and Doctorate of Ministry (1990) at Trinity Evangelical Divinity School and was ordained by the Missionary Church in 1970. His first teaching position was at Jamaica Theological Seminary in Kingston, where he worked for four years. He went on to pastor Missionary churches in Pennsylvania and Ohio, although the desire to teach remained in his heart. 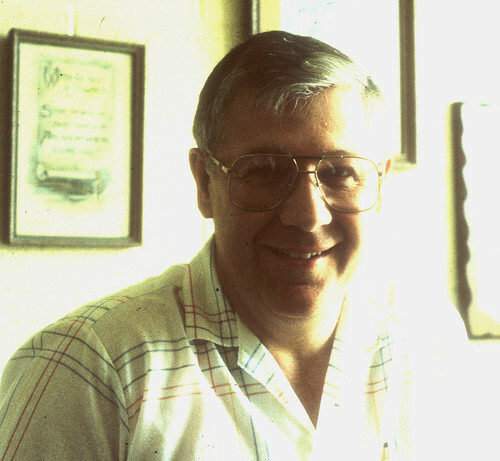 After applying for teaching positions in the North Central and Central Districts, he was eventually hired by FWBC in 1982 to oversee the Pastoral Ministries majors. 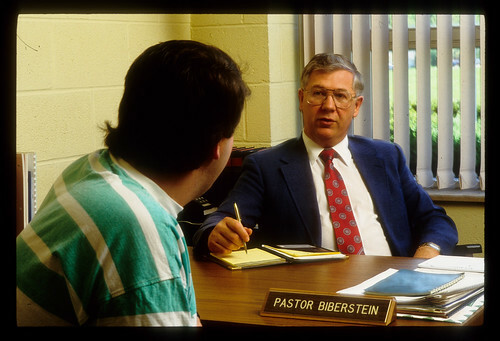 Dr.Biberstein was prominent in developing and expanding the Pastoral Ministries Program, building it on the pillars of preaching/teaching, counseling, visitation and administration. He focused more on pastoral courses, which were dear to his heart, and taught or co-taught nearly all of the related classes. 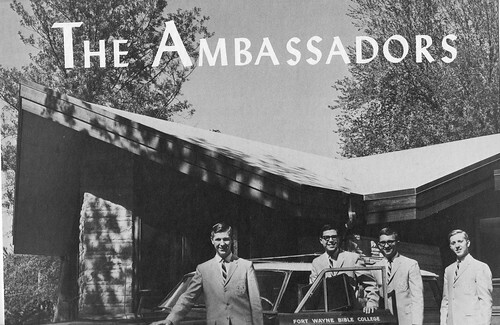 He also oversaw all Pastoral Ministries students’ summer internships, traveling throughout the United States from the Atlantic to the Pacific shores, with many stops in-between. 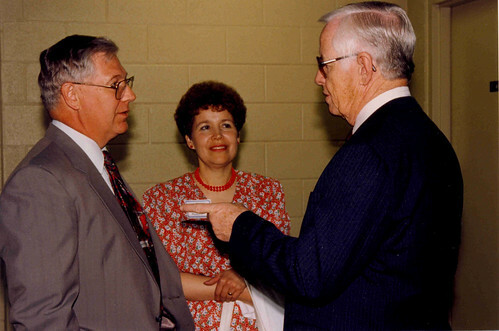 During the twenty-six years of Pastor Dave's leadership, he benefited from the input of three significant pastors who served as auditors of the curriculum. The constructive criticisms of Drs. 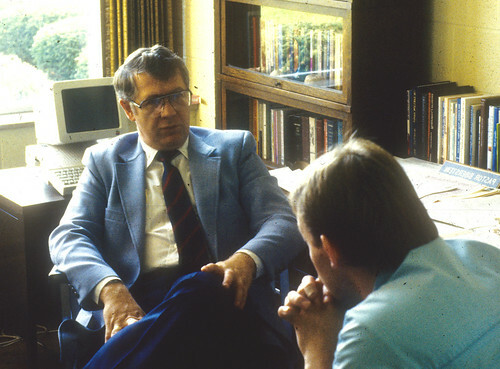 Haddon Robinson, John Strubhar, and Don Gerig, assisted Dr. Biberstein in formulating an educational philosophy consistent with the corps values of biblical humility, adaptability, receptivity, and vulnerability. When applied to pastoral situations the end result or product was a trained group of competent, committed servant-leaders. 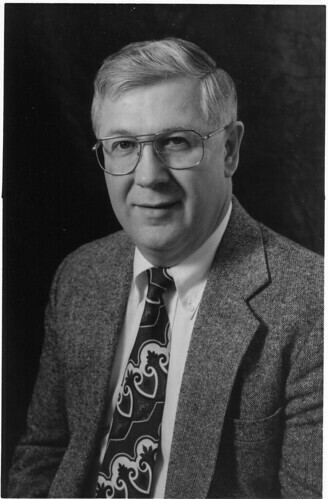 Between his enrollment in the 1960s and the close of his teaching career in 2008, Pastor Dave made many close friends among faculty and students at Fort Wayne. He loved people and enjoyed being part of a team committed to discipleship. 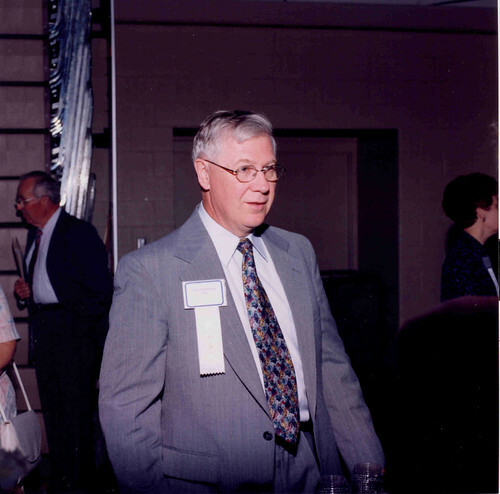 People like the Gerig family and Dr. Jay Platte g69 were extremely influential in his life, and he remains grateful for his experiences as a student and educator at the Fort Wayne campus. Dr. Biberstein currently serves on the pastoral staff at Pathway Community Church in Fort Wayne. Dr. David Biberstein enjoyed a long relationship with the Fort Wayne campus. 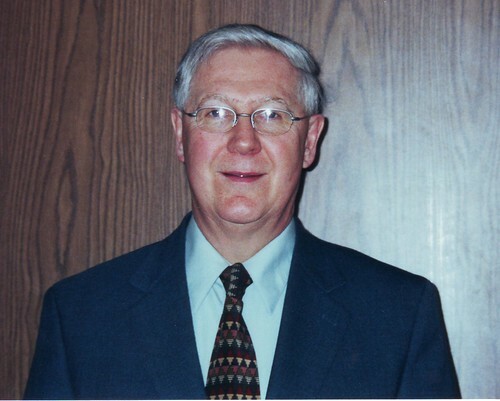 A 1966 graduate of Fort Wayne Bible College (FWBC), he returned to his alma mater in 1982 and served faithfully as an instructor and the Director of the Pastoral Ministries Program for 26 years. Dr. Biberstein received his initial call to ministry as a student at FWBC, and he pursued that calling to preach and teach through a varied ministry career, which eventually brought him back to the school that was so influential in his pastoral training. Pastor Dave originally wanted to attend Taylor University in Upland where his brother, a great influence in David’s life, had attended. However, he was one of six children and his parents could not afford to pay college tuition for him or his siblings. Instead, he chose to attend FWBC, his denominational school. His family connection to the school was another compelling reason to attend: his grandmother had been part of one of the first classes at the turn of the 20th century, plus an aunt, Miriam Sprunger, and an uncle, Clifford Sprunger, both studied at FWBC to become elementary school teachers. Dave enrolled as a Christian Ed and Music major with every intention of transferring to Taylor as a Social Work major after a few semesters at FWBC. 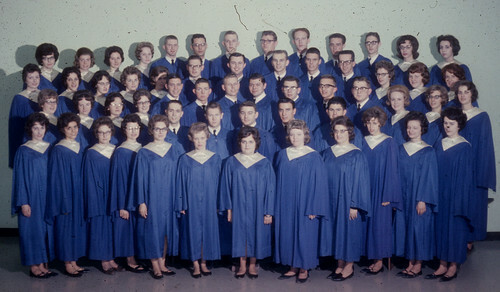 However, after taking only one semester and participating in some campus musical groups, he soon realized he had no desire to leave Fort Wayne. 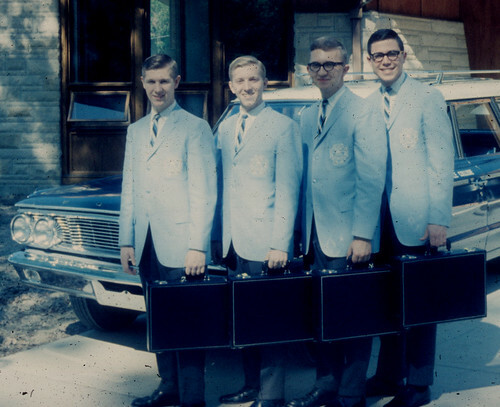 Because Dave had to pay his own way through school, he worked at the local Perfection Biscuit Company for several years to cover his tuition costs. 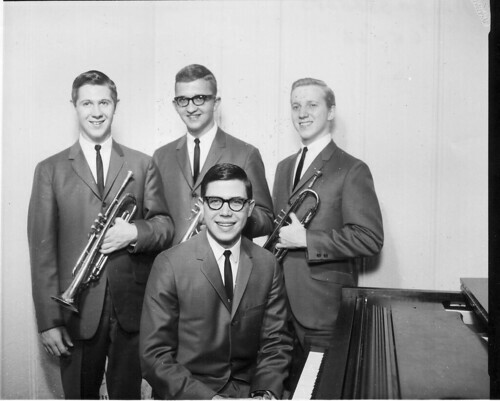 However, he remained active on campus by immersing himself in the “musical world” of the College. 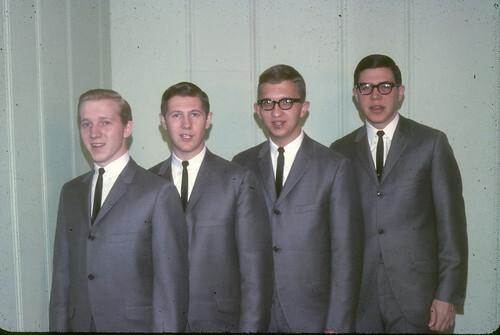 He sang in the Christian Service group, the Kingsmen Quartet as a freshman. He was a member of the FWBC Chorale for three years. 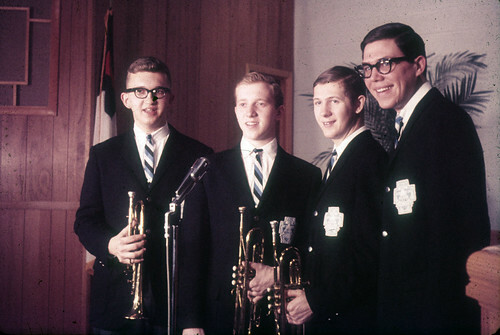 In 1964-66, he sang 1st tenor and played 3rd trumpet in the Ambassadors Quartet, representing the college, including a summer tour of over 13,000 miles from coast to coast. 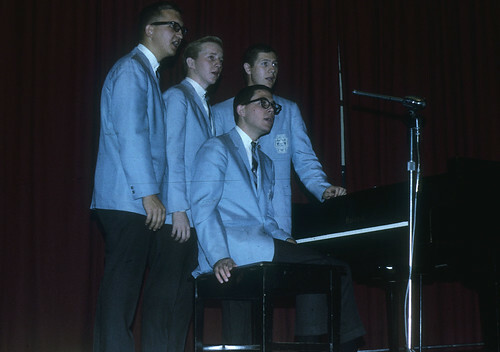 And was in the Singing Collegians in their inaugural year in his senior year. These music groups were particularly influential in Dave’s life. 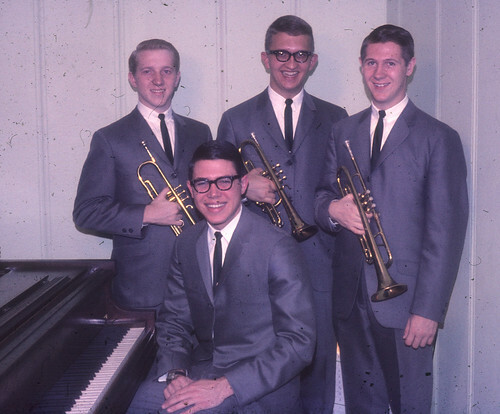 His roommate and eventual Fort Wayne colleague, Music Professor Dr. Jay Platte g69, was also one of his primary musical and spiritual influences. During his sophomore year, David said he received the “call” to ministry. This prompted him to change his major from Christian Ed and Music to Bible and Theology. The call to preach soon became dear to his heart, and the title “Pastor” remains his proudest accolade. At Fort Wayne he also met his wife Joleen (Herman) g67, who was majoring in elementary education. Courtship soon became an important time commitment, and the two married shortly after Joleen’s graduation in 1967. 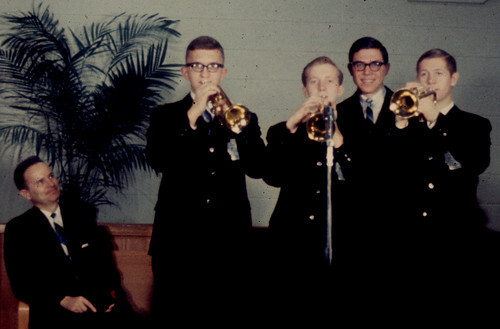 Soon after graduation, he embarked on a long and varied ministry career. He graduated from FWBC with a BA in Bible and Theology in 1966. During the interim before his marriage to Joleen, he spent a semester studying at The American Institute of Holy Land Studies in Jerusalem on full scholarship, and also traveled to Uganda, East Africa, where he taught high school students for a semester. He completed a Masters of Divinity in 1970 and a Doctorate of Ministry in 1990, both at Trinity Evangelical Divinity School. Meanwhile, Joleen pursued a Masters at Millersville State Teachers College and cared for their two children, Dathan and Thaddeus. 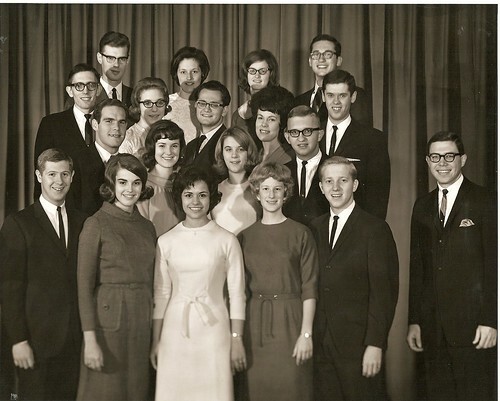 Following Dave’s graduation from TEDS with his M.Div, he and Joleen accepted the call to serve as missionaries in Kingston, which led to his ordination by the Missionary Church in 1970. During the next four years he taught 18 courses at Jamaica Theological Seminary in Kingston. These courses included theology, Greek, Bible, practical theology, church history, and cults. While in Jamaica he also pastored a church for two and a half years. In 1974 the Bibersteins moved to Pennsylvania where David pastored a Missionary Church for four years. During this time David again felt the desire to teach, so he applied to North Central (Bethel College territory) and Central (FWBC territory) Districts for teaching positions. However, he was instead called to Grace Missionary Church in Celina, Ohio from 1978 to 1982. 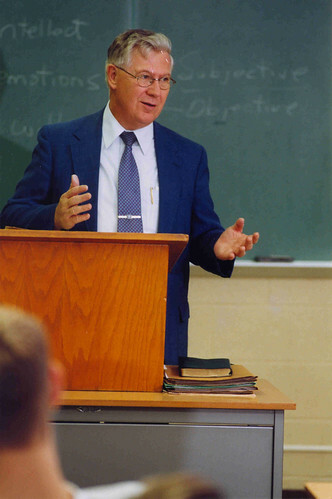 His passion for teaching remained, and in 1982 he was hired by FWBC to train Pastoral Ministries majors. He remained at the Fort Wayne campus until 2008. 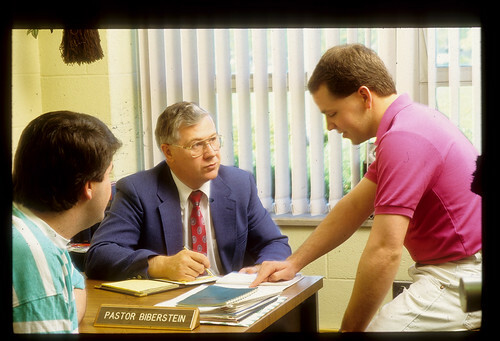 In his role as Director of Pastoral Ministries, Dr.Biberstein was prominent in developing and expanding the Pastoral Ministries Program, building it on the pillars of preaching/teaching, counseling, visitation and administration. He focused more on pastoral courses, which were dear to his heart, and taught or co-taught nearly all of the related classes. He also oversaw all Pastoral Ministries students’ summer internships, traveling throughout the United States from the Atlantic to the Pacific shores, with many stops in-between. 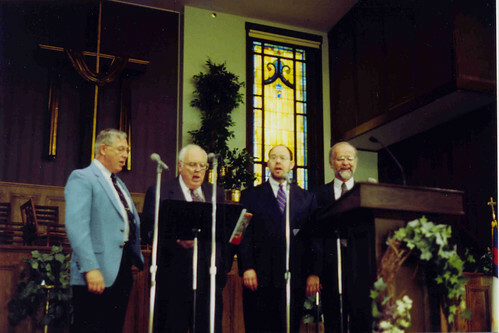 During the twenty-six years of Pastor Dave's leadership, he benefited from the input of three significant pastors who served as auditors of the curriculum. The constructive criticisms of Drs. 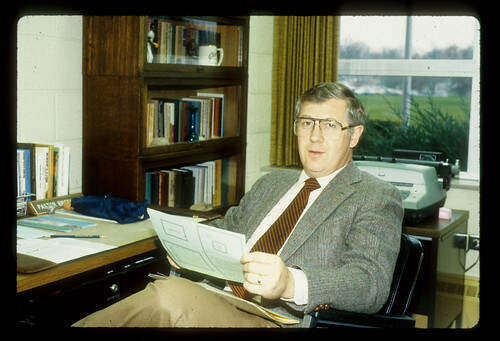 Haddon Robinson, John Strubhar, and Don Gerig, assisted Dr. Biberstein in formulating an educational philosophy consistent with the corps values of biblical humility, adaptability, receptivity, and vulnerability. When applied to pastoral situations the end result or product was a trained group of competent, committed servant-leaders. Upon returning to Fort Wayne in a teaching capacity, Pastor Biberstein was thrilled to be reunited with many former professors and classmates who were also ministering at the college, including Miss Joy Gerig, Dr. J. Platte, Professor Arlan Birkey, long-time mentor Harold Welty, and of course FWBC’s beloved “Gamaliel,” Dr. Wes Gerig. Pastor Dave speaks repeatedly how much he enjoyed being part of a team committed to discipling and training students to become competent, committed servant-leaders. Pastor Dave also states that his greatest privilege and passion is to fulfill the divine call to be a pastor-teacher, and he clearly credits any kingdom-building successes to the “Five G’s of God”: the Glory, Greatness, Goodness, Guidance, and Grace of God. 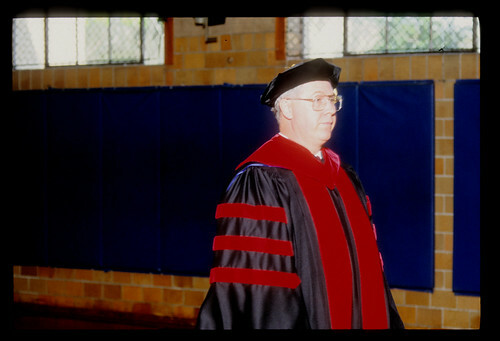 In 2011, Dr. Biberstein received the Distinguished Alumnus For Service award given by the Fort Wayne Alumni and Friends Heritage Association in recognition of his faithful ministry to the college, the Church and beyond. Dr. Biberstein is currently part of the pastoral staff at Pathway Community Church in Fort Wayne, where he works with several of his former Fort Wayne students. Dave Biberstein was my pastor at Grace Missionary Church in Jamaica. He baptized me, befriended me, mentored me, and even gave me (as a young teenager) some of his colorful ties! It was due to his suggestion that I attended Jamaica Theological Seminary, where he taught me Homiletics, as well as other courses. As my pastor, he basically taught me the Bible through expository (and some thematic) preaching in Old and New Testaments at three services every week. I have rarely met anyone in the intervening years who was so diligent in preaching and teaching the Word of God; it is a standard I have endeavored to attain to. I still remember one of Dave’s last sermons before he returned to the States; it was on Paul’s address to the Ephesian elders in Acts 20. The word he left us with was: “I did not shrink from declaring to you the whole counsel of God” (Acts 20:27). 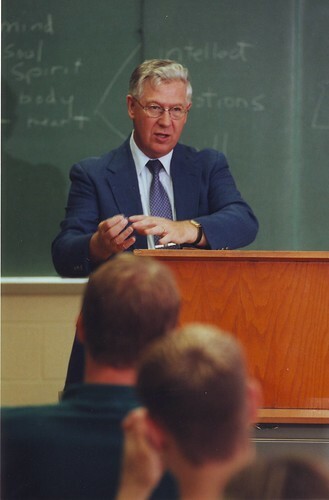 Pastor Beiberstein's "Pastoral Theology" classes were ever helpful in preparing me for pastoral ministry. I laughed at some of the situations he would place us in during role play and at others was speechless because of my lack of understanding. Pastor Biberstein would teach us following these role plays in preparation for ministry in real life. Thank you, Pastor, for your sharing your wisdom. I continue to appreciate your ministry in my life.